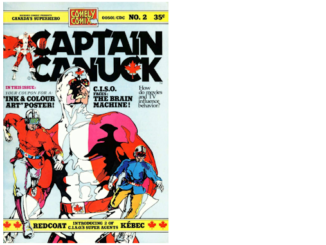 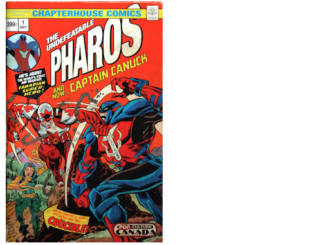 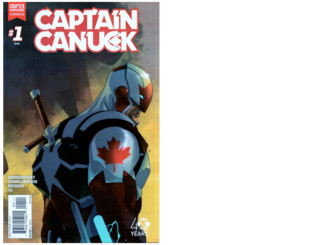 While earth governments unite to battle the alien menace and outfit a moon base for an assault on the alien spaceship, Captain Canuck – still in the 11th Century – helps some native Mi’kmaq battle Viking invaders. 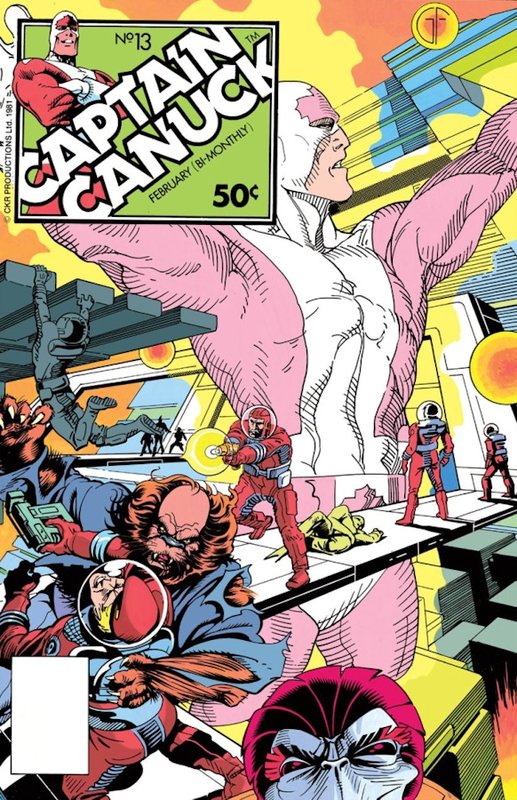 He manages to return to his time on board the alien mothership. 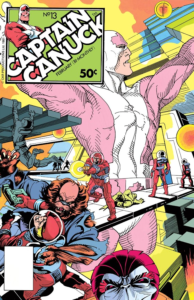 His actions save the day, but his only hope for survival is to leap back into the time portal for a destination unknown.